X-Men Unlimited #3 (1993). Signed By Mark McKenna. X-MEN UNLIMITED # 3, DEC 1993. Sabretooth! High Grade VF/NM. X-MEN : UNLIMITED #3 SABRETOOTH GIANT-SIZE MARVEL 1993 NICE!! 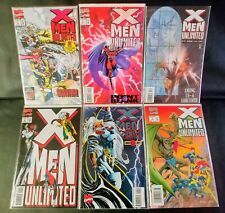 X-MEN Unlimited #2 & 3, Marvel 1993 High Grade! X-Men Unlimited (1993) #3 VF/NM 9.0 Marvel Comics,Sabretooth; $4 Flat-Rate Ship! X-Men Unlimited - Vol. 1, No. 3 - Marvel Comics Group - Dec. 1993 - Buy It Now! 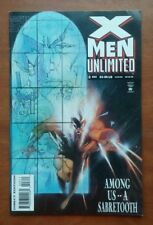 X-Men Unlimited (1993) #3 NM- 9.2 Marvel Comics,Sabretooth; $4 Flat-Rate Ship!